Parental love was in short supply when Aura Angel was growing up, in a household where there was so little money that her parents would burn the floorboards of their council house to keep warm in winter. Her father would beat her at the slightest excuse, and when he left home her mother took over, using brooms and kitchen implements to make sure the blows hurt. Her mother’s conflicts with authority led Aura (not her real name) to eight schools and more than 20 homes before finally, at 12 years old, she marched into the local Social Services offices and asked them to take care of her. Her troubles were far from over; an abortion at 16 followed and two children by fathers who badly let her down. Yet now, in her forties, she is at peace with herself. 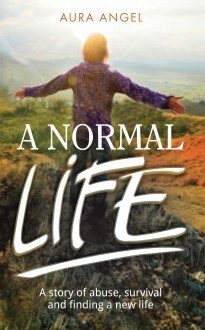 She has written A Normal Life as “a counselling tool for myself”. It is an extraordinary and moving story, candidly and sensitively written.